Here’s your June update from Flip the Fleet. Judging from this month’s 1-click survey, most of you travel about as far, visit the same places and use the same mode of transport since you bought your EV or PHEV (click here for the full report). We’ll use your responses to explode the myth that owning an EV restricts your mobility –far from restricting movement, EVs often increase mobility in your neighbourhoods. However, some people do adjust their mobility in subtle ways, including connecting more with family and community, or adopting a more relaxed approach to transport. We will emphasise these social benefits of EV ownership more in our future EV uptake campaigns. 31% of you reckoned your mobility had changed ‘not one bit’, and 33% thought it had changed ‘a little’ since buying some form of low emission vehicle. Only 12% thought it changed ‘a lot’. One-car families changed their mobility more than two-car families which retained a petrol or diesel (ICE) car in their “home hybrid” fleet. One-car families with just an EV also travel further than they used to go previously in their ICE. While local transport frees up, many of you took fewer longer trips from home base in the EV. A small proportion of you rent a car for the long trips. Around three-quarters of EV owners retain an ICV for towing and occasional long trips (Fig.1), and more than 55% of NZ households have two or more motor vehicles. EV advocacy could therefore usefully target the multi-car families and business and urge a gradual substitution process – in the interim these families can get the best of both worlds by using their EV for 90% of their travel while nursing an old ICV along until it is knackered. 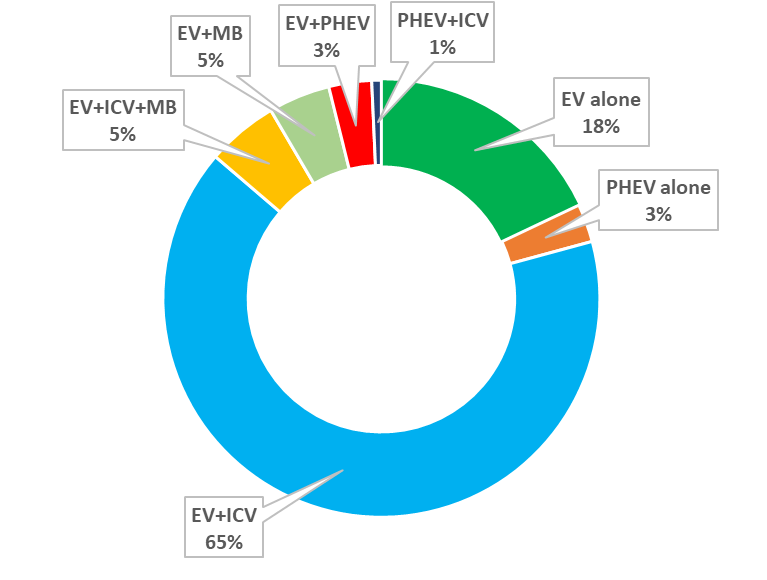 Figure 1: Availability of other electric vehicles and fossil fuelled vehicles to respondents to this survey. Some respondents also had regular access to electric bicycles (18%) and/or ordinary bicycles (43%), but these are excluded from the analysis. EV= pure electric vehicle; PHEV= Plug-in Hybrid electric vehicle; MB = motorbike. Focus a communications strategy for encouraging partial and gradual substitution of ICVs with EVs within multicar households. The main conclusions and recommendations were featured in a media release and infographic which you can read by clicking here. You slammed us with over 1500 comments to our May 1-click survey about Flip the Fleet’s design and effectiveness, so it took us a while to work through your advice. Put more emphasis on creating resource material in the background – many people find them as valuable, or even more valuable than the data reports. As recently reported by CleanFleetReport.com, Nissan appear to be recalling US and European 30 kWh Leafs to correct battery State of Health metrics being reported by the vehicles battery management system (http://www.cleanfleetreport.com/exclusive-nissan-leaf-battery-fix/). 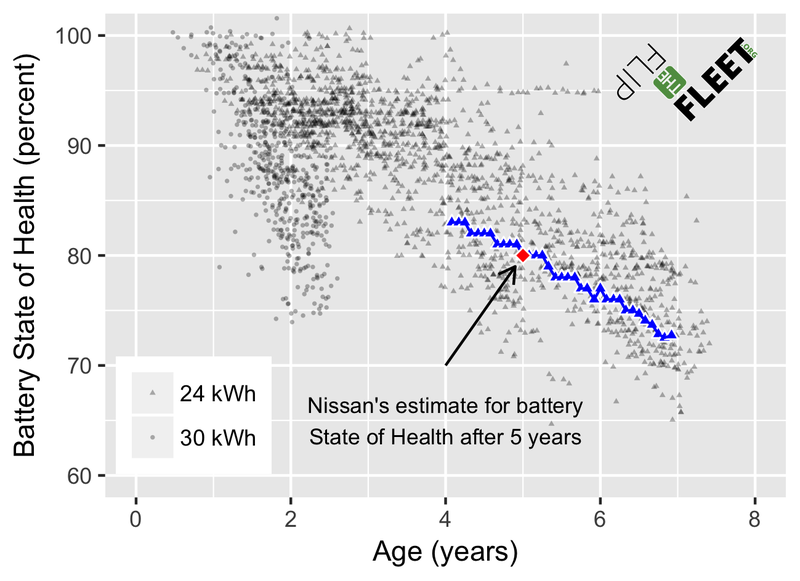 Not enough information is available yet to form any reliable scientific conclusion about whether Nissan’s instrumentation error is a sufficient explanation for the observed declines in reported battery health of 30 kWh Leafs by Flip the Fleet members. We hope that Nissan will show their technical data for all to evaluate. We are in close contact with Walter Larason at EVs Enhanced (www.evsenhanced.com), who has been doing various tests on SoH measurement accuracy on his own initiative. Since Flip The Fleet doesn’t possess deep technical knowledge and equipment to run these tests, you may wish to get in touch with Walter directly to find out more. In the meantime, we invite New Zealand’s Leaf owners to supply their monthly battery health records to Flip the Fleet’s community database so that we can monitor what happens to the battery indicators over the coming months. Flip the Fleet has also written twice to Nissan New Zealand to ask if and when the firmware patch will be available for 30 kWh Leaf owners in New Zealand and Japan. We will promptly relay any answer received. How is your battery tracking against others? You can now direct the public to the “Can I check under the bonnet first?” section of our landing page (www.flipthefleet.org). By clicking on those public reports, they can sample the sort of information available to guide their EV purchase (using Dima & Olga’s and Henrik & Fiona’s cars as examples). Drive your battery safely on those winter roads out there. Dima Ivanov, Rebecca Hayter, Hannah Gentle, Henrik Moller, Daniel Myall and Monica Peters. Just wondering if you have any update on how we can get the 30kWh software update in NZ? When I first got my 30kWh Leaf last November I could get from New Plymouth to Hawera (aprox 75km) with 55% charge left (45% used). I used to top up for 4 hours on an 8A charger before returning home to give a safety margin. Yesterday I left New Plymouth with 93% charge and got to Hawera with only 33% (60% used) I’m having to use the DC fastcharger in Hawera now to ensure I can get back home. My 30kWh leaf was charged from 33% to 88% (55% increase) on a DC fast charger yesterday and I only took 10.7 kWh according to Chargenet. That suggests my actual usable range is only about 20kWh. Battery SOH was 93% in November, It is 81% now. If the 81% reading is correct I should have aprox 24kWh of range available . Something is seriously amiss with both the rapid declline in reported SOH and remaining charge %/range being reported. I’ve got serious range anxiety on my Hawera trips, Like many others I hope this is a genuine fix and not a software Fudge. I guess the proof will be in first drive to Hawera after the update. FYI. I requested my car plot as suggested above and got no reply from Daniel. Sorry to say – we don’t know yet! We hope to find out soon, and if/when we do, we’ll be sure to pass it on. As for the plot, our apologies – our whole team has been absolutely flat stick for the last few weeks. I’ll follow up with Daniel for you.